To collect donations and other payments through LGL Forms, you need an integrated payment processing account with PayPal, ProPay, or Stripe. 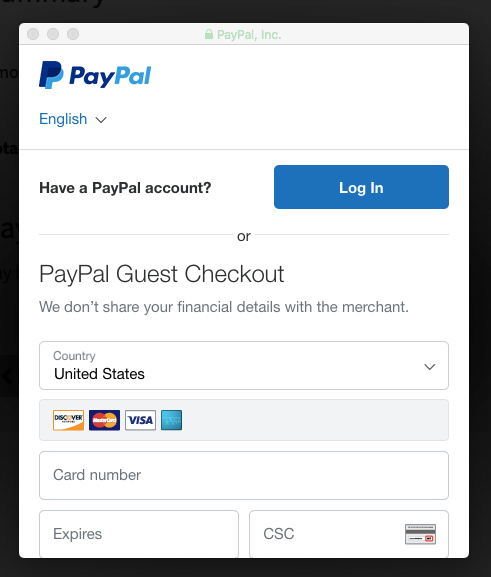 This article describes how to set up PayPal as your payment processor. Alternatively, you can read about setting up your payments through ProPay or Stripe. PayPal requires that you use a business account to set it up as a payment provider for LGL Forms. It is not possible to integrate a personal PayPal account with LGL Forms. To have the option to make a gift recurring, the donor must be a registered PayPal user and must be signed into their PayPal account when the donation is made. 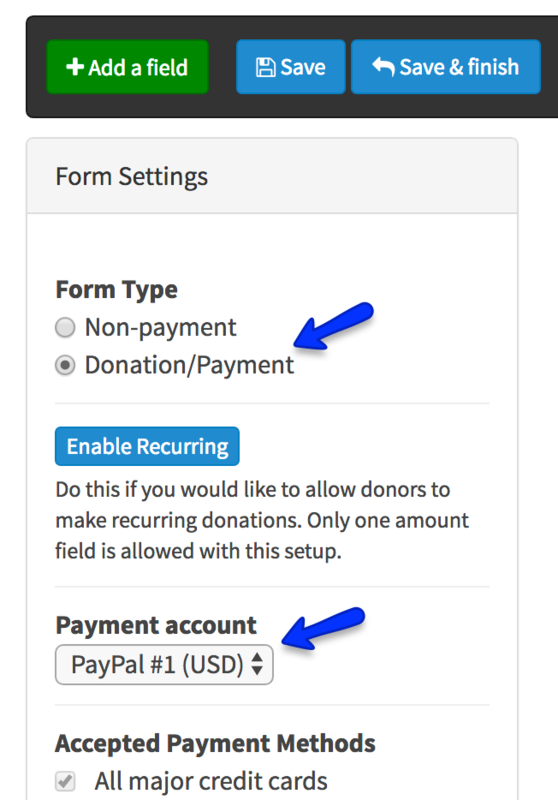 It is not possible to make a recurring donation when signed in as a guest user in PayPal. LGL Forms makes it easy to create and publish online donation forms (or forms that collect payment for other reasons, such as events, membership registration, or membership renewal). LGL Forms is integrated with PayPal, a leading merchant account provider and payment processor. If you want to collect online donations, you first need to activate payments within your LGL Forms account. To do this, click on the Donations/Payments tab. When you enable your LGL Forms account for payment processing the first time, you'll be asked to add your credit card information, which will be used to pay fees on any transactions that are processed (1% of the transaction amount, billed retroactively on a monthly basis). Next, you'll be prompted to set up a payment processor account. 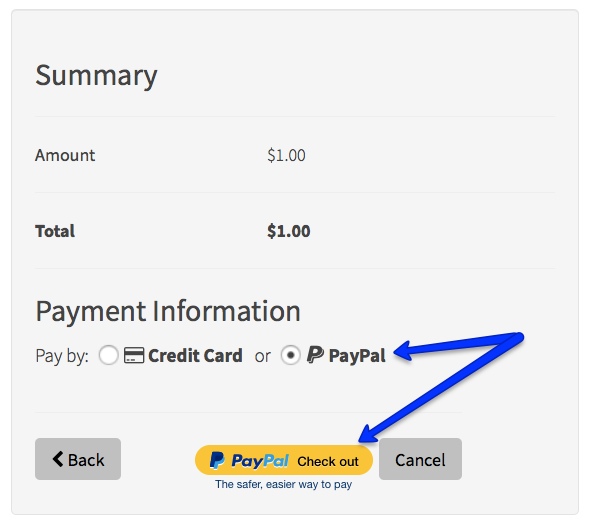 Click the Set up PayPal button to proceed with setting up your PayPal account as your payment processor. You can then either sign up for a PayPal account or sign into an account you already have. 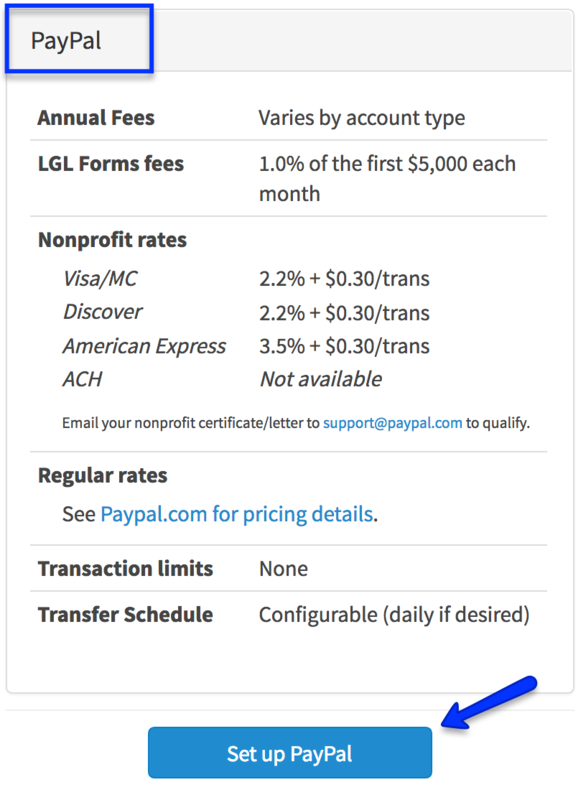 Once you've set up your LGL Forms account to process payments via PayPal, you'll be able to set up donation/payment forms. If you have more than one payment processor integrated with your LGL Forms account (such as Stripe or ProPay), then you'll be able to select which one you want to use for each form. In this screenshot, we've selected PayPal. Using PayPal allows your donors to pay using their own PayPal account or via credit card through PayPal. They do not need a PayPal account to pay by credit card, however. 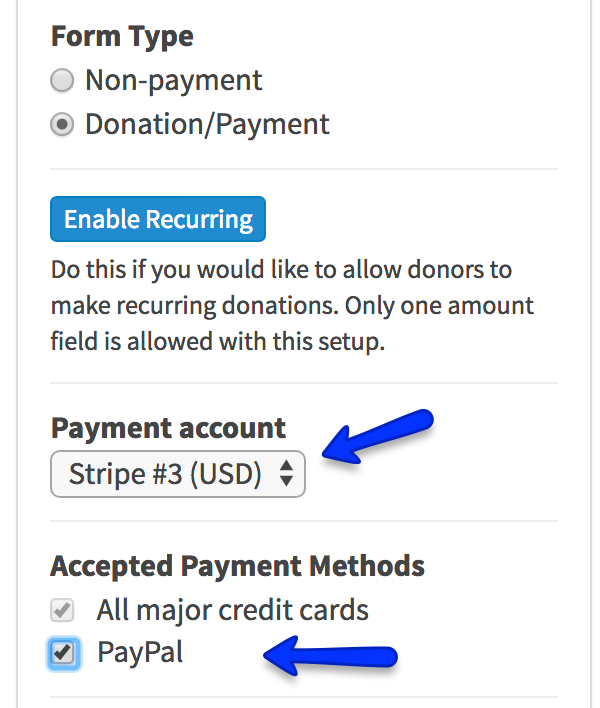 If you would prefer to have your credit card payments processed by a provider other than PayPal, you can set Stripe or ProPay as the payment processor in a form and still add a PayPal option for your donors who would prefer to pay via PayPal. To do this, select Stripe or ProPay as the payment account you want to use (they'll need to be activated in your forms account first), and then check the second checkbox box shown in the screenshot below to enable PayPal. Donation processing for nonprofits outside the U.S.